Creation: Appeared sometime after 1973 (can't find any CTB references), running on Duval St between 8th and 13th Sts on the MCV campus at VCU. This appears to be the 2nd VA 353. Comments: VA 353 passes underneath the VA 33 Martin Luther King Bridge and runs alongside I-95. VA 353 does not appear on any maps. 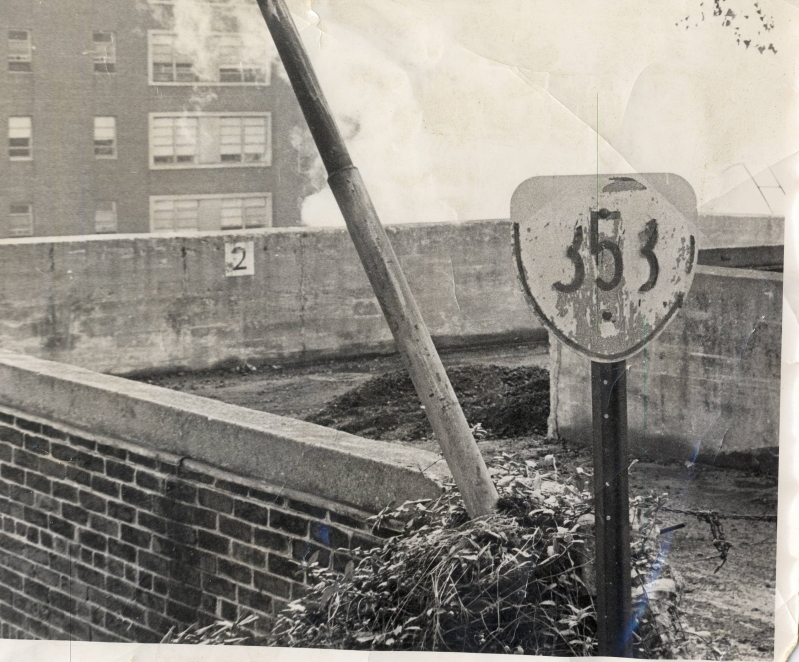 VA 353 #1: Appeared March 1942 (CTB) when 78 feet (0.015 miles) was added to the road to the Medical College of Virginia power plant south from the end of Clay St. 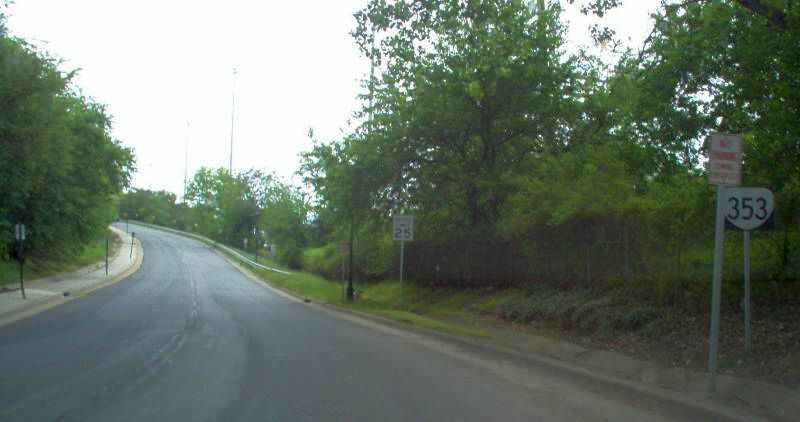 The May 1973 CTB clearly indicates that VA 353 is removed from the primary highway system. This 78 feet of highway was posted (see title picture at top of page). Not surprisingly this does not show up on maps.